Start off your visit on the 24th (Mon): pause for some serene contemplation at Notre-Dame Basilica, then admire the masterpieces at The Montreal Museum of Fine Arts (Musee des Beaux-Arts), and then don't miss a visit to Crescent Street. For other places to visit, ratings, maps, and other tourist information, go to the Montreal trip maker app . Chandigarh, India to Montreal is an approximately 25-hour flight. You can also do a combination of flight and train; or do a combination of flight and bus. The time zone difference moving from India Standard Time (IST) to Eastern Standard Time (EST) is minus 10 hours. Traveling from Chandigarh in December, expect Montreal to be much colder, temps between -1°C and -7°C. 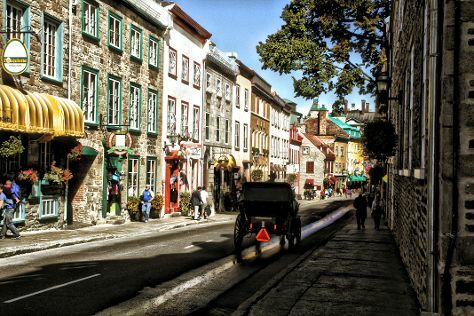 Wrap up your sightseeing on the 24th (Mon) early enough to drive to Quebec City. On the 25th (Tue), appreciate the extensive heritage of Place Royale and then get to know the fascinating history of Old Quebec. To find maps, traveler tips, more things to do, and other tourist information, refer to the Quebec City trip builder website . You can drive from Montreal to Quebec City in 3 hours. Other options are to take a bus; or take a train. Finish up your sightseeing early on the 25th (Tue) so you can travel to Mavillette. 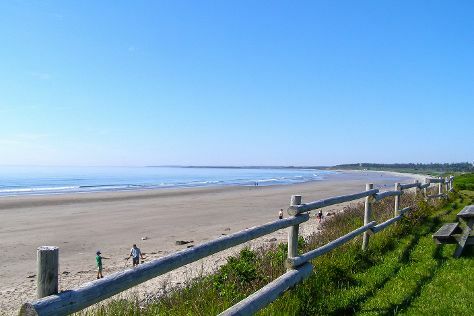 Start off your visit on the 26th (Wed): enjoy the sand and surf at Mavillette Beach Provincial Park and then enjoy the sand and surf at Port Maitland Beach Provincial Park. To find traveler tips, reviews, photos, and more tourist information, refer to the Mavillette trip planner . Traveling by car from Quebec City to Mavillette takes 10.5 hours. Alternatively, you can fly. The time zone changes from Eastern Standard Time (EST) to Atlantic Standard Time (AST), which is usually a 1 hour difference. In December, plan for daily highs up to 5°C, and evening lows to -1°C. Finish your sightseeing early on the 26th (Wed) so you can travel to Banff National Park. 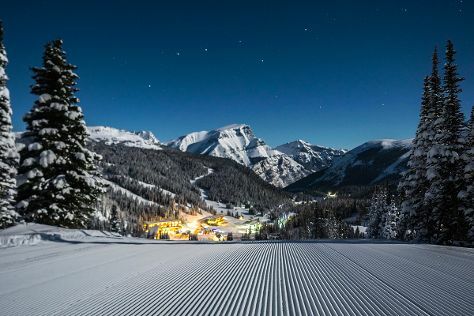 Start off your visit on the 27th (Thu): fly down the slopes at Sunshine Village. Here are some ideas for day two: cruise along Bow Valley Parkway, get to know the fascinating history of Fairmont Chateau Lake Louise, and then contemplate the waterfront views at Moraine Lake. To see more things to do, maps, traveler tips, and tourist information, refer to the Banff National Park day trip site . Use the Route module to find suitable travel options from Mavillette to Banff National Park. The time zone difference moving from Atlantic Standard Time (AST) to Mountain Standard Time (MST) is minus 3 hours. In December, Banff National Park is much colder than Mavillette - with highs of -10°C and lows of -19°C. Finish your sightseeing early on the 28th (Fri) to allow enough time to travel to Vancouver. On the 29th (Sat), enjoy the sand and surf at Kitsilano Beach, then tour the pleasant surroundings at Spanish Banks, and then admire the natural beauty at VanDusen Botanical Garden. On the next day, wander the streets of Granville Island, then kick back and relax at Wreck Beach, then take in nature's colorful creations at Bloedel Conservatory, and finally take a stroll through Gastown. For maps, photos, more things to do, and tourist information, read Vancouver trip planner . Do a combination of shuttle and flight from Banff National Park to Vancouver in 8 hours. Alternatively, you can drive; or do a combination of shuttle, flight, bus, and subway. Traveling from Banff National Park to Vancouver, you'll gain 1 hour due to the time zone difference. In December, Vancouver is much hotter than Banff National Park - with highs of 7°C and lows of 2°C. Finish your sightseeing early on the 30th (Sun) to allow enough time to fly to Whistler. Home to one of the largest ski areas in North America, former logging town of Whistler provides activities and entertainment for avid nature lovers and adrenaline seekers. On the 31st (Mon), glide through natural beauty at Whistler Blackcomb. For maps, more things to do, ratings, and tourist information, use the Whistler trip planning website . Getting from Vancouver to Whistler by flight takes about an hour. Other options: drive; or take a shuttle. Prepare for slightly colder weather when traveling from Vancouver in December: high temperatures in Whistler hover around 0°C and lows are around -6°C. On the 1st (Tue), you'll travel back home.